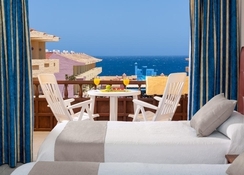 Marino Tenerife Hotel is a 4-star family-friendly aparthotel situated in southern Tenerife. Only 2km from the beach, this luxury hotel offers wonderful environment for families to enjoy a fun and relaxing vacation. All apartments and studios at the hotel are well-furnished with essential amenities. Meals are served at the buffet restaurant and the pool bar serves a wide range of drinks and snacks. 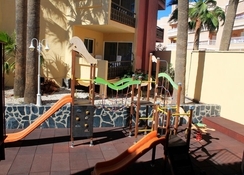 The aparthotel has easy access to many Costa del Silencio's shops, bars, and restaurants. It features a large swimming pool with plenty of sun beds. The hotel offers a 24-hour reception, currency exchange service, and free Wi-Fi. The small fishing village Las Galletas, which has a fishing harbour and an attractive beach, is just 15 minutes from the aparthotel. 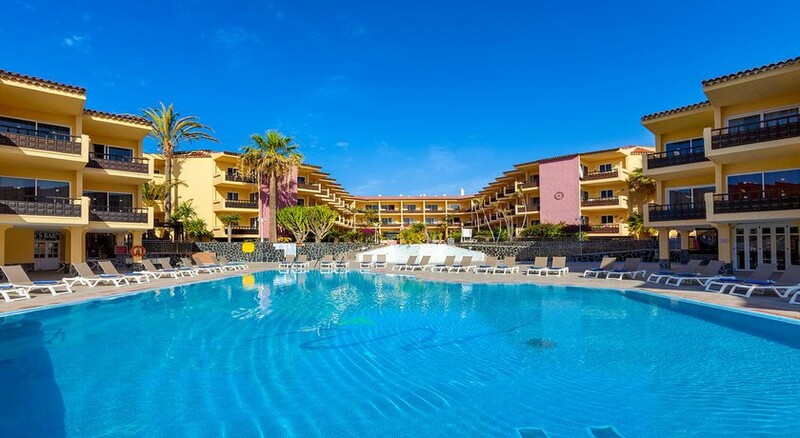 The aparthotel is situated in the beautiful area of Costa Del Silencio in southern Tenerife. The beach of Costa Del Silencio is about 2km from the hotel. The Plaza del Duque Shopping Centre is about 19km and a golf course is about 4.2km from the hotel. The Tenerife South Airport is the nearest at 10.2km, while the Tenerife North Airport is about 75km. 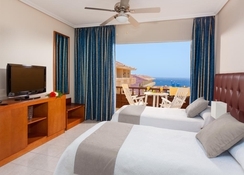 Marino Tenerife Hotel offers one-bedroom apartments, two-bedroom apartments and studios to its guests. All apartments have one double bed or two single beds in the bedroom with a large sitting room. The studios have two single beds; some may have only sofa beds. All apartments and studios have balconies and are fully equipped with a microwave, juicer, toaster, kettle, coffee machine and an oven. Other facilities include washing machine, TV with satellite, Wi-Fi (with charge), hairdryer, room-safe (with charge), ceiling fan, ironing facility, and telephone. Marino Tenerife Hotel’s main buffet restaurant serves delicious local and international cuisines for breakfast, lunch and dinner. Guests can also choose from an a la carte restaurant. By the pool, there is a snack bar that serves a wide range of beverages and snacks. Marino Tenerife Hotel features a large outdoor swimming pool and some amazing outdoor activities. Sports facilities at the hotel include water aerobics, aqua spinning, soft gym, French bowls, table tennis, water polo, billiards, darts, shuffleboard, and rifle shooting. There's a great variety of end-less entertainment shows such as bingo, parrot show, eagle show, themed nights such as Canarias night, Arabian night, Spanish night, singing shows, flamenco show, karaoke, laser show, quiz night, dog show and many more exciting activities. The aparthotel’s own scuba diving club offers lessons for everyone from beginners to experts.